The subject of telecom brokers came up, and I wanted to delve a little bit more into it. Telecom brokers are supposed to be able to find the right options for your telecom needs and have contacts that can help in case of escalation needs. While a telecom broker can lead you in the right direction, at the end of the day you should always do your own homework as well and verify any solution that is being sent to you. The following link by John Hagan , President of TeleData Select summarized all the reasons that a telecom broker could be useful. I do think some telecom brokers may have some sales quota’s of their own. But since brokers are reputation based I don’t think that they would want to jeopardize their position for a few sales. The one thing that I do hear is that their negotiation for pricing is optimal since they are doing this day in day out. 9 Top Reasons To Use Telecom Brokers. Multiple Carrier Options: Would you like to deal with one person for all you communication services, rather than dealing with a sales person from each company? The broker will have contacts with many carriers and vendors which means he or she can quickly acquire quotes and information without you requesting it yourself. A big time saver, especially when evaluating multiple locations and offers from vendors. More Expertise: A typical telecommunications company will have over 50% sales turn over each year and end up hiring inexperienced sales people to fill positions. Many Telecom Brokers have had years of experience working at various telecom companies, they understand technology and are able to compare company A and company B. Satisfaction: Telecom Brokers long term success is dependent on the ongoing satisfaction of their customers. Each month, Telecom Bookers get paid a small (residual) commission to manage the telecommunication service of their customers. This ensures that Telecom Brokers/Consultants continue to provide clients with exceptional customer service for years. Transparency: Some telecom providers provide great pricing, but they take forever to install the services, others have poor billing and are unorganized. Good Telecom Brokers can explain the good and bad of each carrier and what to expect. No Sales Quotas: Many telecom providers put their sales people under unrealistic sales quotas and end up with pushy unprofessional sales staff and high turnover. Good Telecom Brokers have a vested interest in a customer’s long term success, helping customers make informed educated decisions without the need of sales quotas. Consolidation: Many companies with multiple locations and difference providers get multiple bills and need help consolidating services. . Good Telecom Brokers understand “Telecom Aggregation” consolidating multiple services on one bill and providing a “one stop shopping” model that saves time and money. Pricing and Support: In some cases Telecom Brokers offer better rates to their customers than going direct with the telecom company. In fact, many Telecom companies in an effort to reduce cost have fired their sales staffs and only work with “indirect” or Telecom Brokers. This entry was posted in Networking and tagged Vendors. Multi-Protocol: iSCSI, FC, CIFS, NFS, SMB all in the same array. Ssukin also echoed that result: with Tegile being the top contender though he was posting reviews from his employer’s site IT centralstation . While Cisco is the big boy on the block when it comes to networking gear, competitor Arista has some nice offerings that give one reason to look at a look at its products. One interesting thing their devices have is “native support for VMware Virtualization” (1). With Vmware endorsing NSX for it’s vision of the software defined datacenter (SDDC), and a partner like Arista providing the physical components, it could make deploying software defined networking (SDN) much easier. In fact, Vmware and Arista have entered a “Strategic Relationship to Advance Adoption of Network Virtualization”. At the moment it’s a 4 year agreement ot work together, but as with any relationship, if it is fruitful it will continue to grow. One of my concerns with NSX when it first came out was vendor support. At a VMUG conference 2 years ago when asked what steps and hardware vendor support there would be for network issues, the answer was they were working on it. In the meantime use wireshark. At that time, only bleeding edge cases would have likley gotten the most out of NSX. Today with strategic partnerships in place, it’s a different story. but for smaller and midsized firms, gaining an understanding of what is available can always lead to a future edge competitively. This entry was posted in Networking and tagged SDN. The precursor to VSAN, the VSA enabled hosts to have software based shared storage without the need for a dedicated storage platform . As of April 1, 2014. all VSA has entered end of life and can no longer be purchased. The software would divide up the disk allocation in such a way that a volume from one host is mirrored on another. The selling point is that you can use a minimal set of hardware, or even an existing one, to take advantage of the great features vSphere offered while having to forgo unneeded expenditures that a company ,may not be willing to make. A company can use high availability and DRS with a smaller investment rather than using tens of thousands to potentially hundreds of thousands on shared storage. 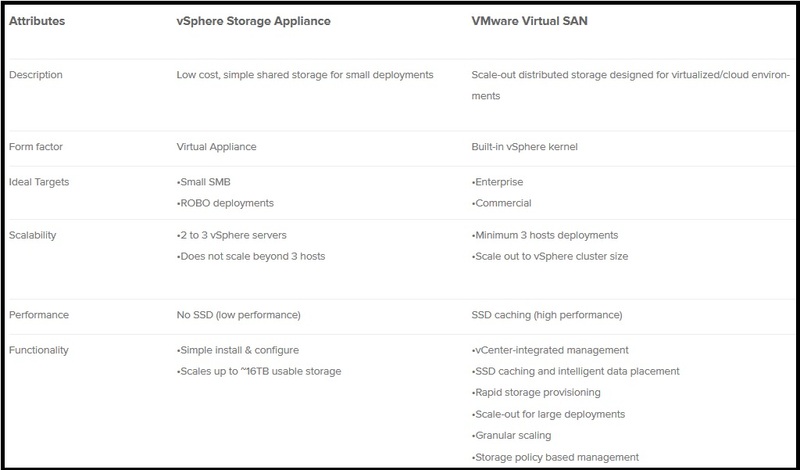 VSAN is a MUCH better product than VSA. Where VSA was aimed at small to medium business, VSAN is focused on the enterprise market, moving away from what Duncan Epping likes to call “San Huggers”. VSAN is built into the vSphere kernel, it has SSD caching, scalable and ready for the prime time. Vmware ended a product line that, while an interesting concept at the time, has fulfilled its need. Its features have been placed into the kernel itself, integrating the best, while adding new fatures. So VSA isnt gone in a way, just renamed. Like a lot of other Vmware products. This entry was posted in Storage, VMware and tagged shared storage. Project Onyx: A nice Vmware fling developed by vmware to turn mouse clicks in to command text. It’s a proxy between your thick client and your vcenter server. Onyx makes use of direct api calls, rather than powercli. Onyx will use the API PoweronMultiVM_Task. True there may be a lot of things that are easier to do using some powercli commands, but if there is something that can’t be automated, you are curious, or just need a hint, at what calls to make, it is still a good tool to have in the tool kit. Does it work with Vcenter6? I haven’t test that yet. 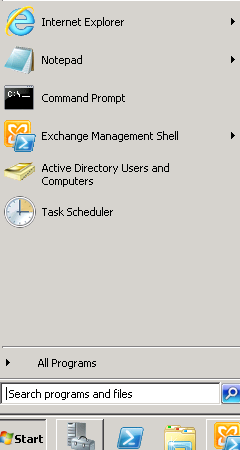 This entry was posted in VMware and tagged flings, powershell.